In the 2016-17 school year, Claire O'Hanlon (cohort '13) participated in Pardee RAND's Tech Lab Pilot, in which she and several fellow students designed and created projects that used technology to improve civil discourse. 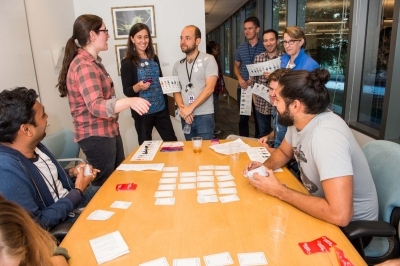 Now a new alum, O'Hanlon has released a free, public download of her project: a tabletop card game that encourages political discussions in a civil manner. O'Hanlon says she designed the basic premise of the game as part of her application to participate in the Tech Lab Pilot. 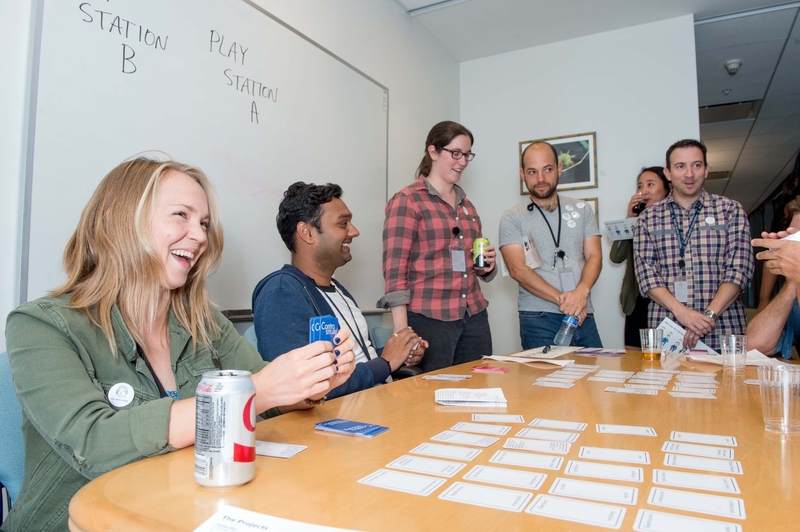 During the pilot, she recruited fellow students Steve Davenport (cohort '15) and Julia Pollak (cohort '12) to help develop the original game and prototypes. And this summer — with some follow-on funding from the School — O’Hanlon revamped and expanded the game, now available for free download on the website ControVersus.games. 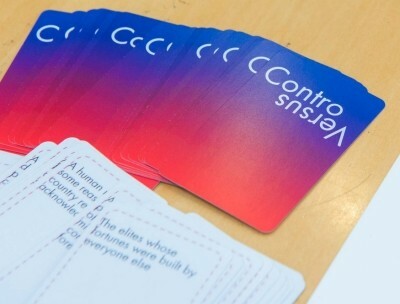 "ControVersus: a card game for a divisive era" is an Apples-to-Apples™-style game that promotes understanding of and stimulates discussion on U.S. political issues among students, colleagues, families, and friends without forcing players to reveal their own political positions. 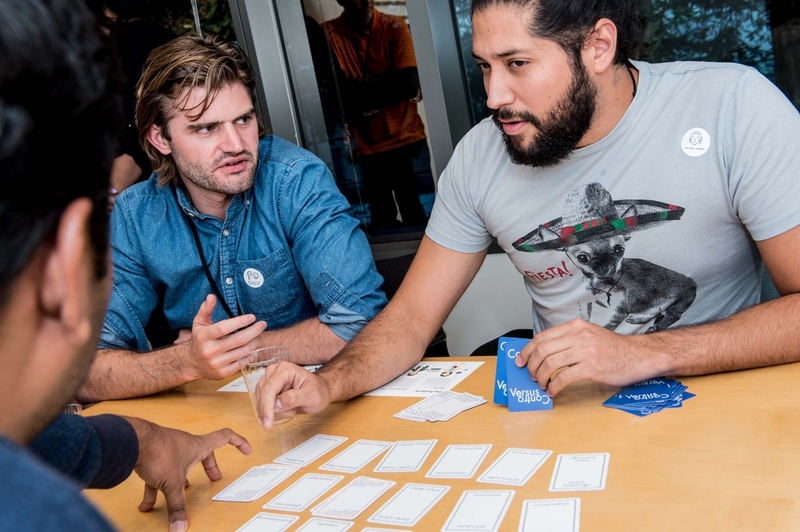 The game is designed for between five and eight people and encourages players to consider how different sides might think about words and phrases commonly heard in U.S. political discourse. Players choose one of the "concept” cards in their hand from their hand to respond to a “value” card, and they may have to defend their choice to the group — whether or not they truly believe it. On her website, O'Hanlon says ControVersus "aims to improve discourse by helping people talk about politics in a context that is not a reaction to current events or a debate about one’s own opinions. ControVersus aims to promote understanding of U.S. political concepts and opinions across the spectrum." Game cards can be downloaded for free in various formats, and O’Hanlon is looking for a supplier for a ready-to-play version.